Texwipe offers custom-designed, pressure sensitive labels for any cleanroom or controlled environment. Our labels can be customized with various label stocks, print options, adhesives and sizes to meet your cleanroom application. Made from material that is low out-gassing, has ultra-low leachables and low particulates. Each label is tested for surface particles, and all are cleaned and packaged in a controlled environment. Texwipe Cleanroom Labels come in a variety of Ready-to-Order (quick ship) and custom-designed to suit your particular application. Click below for more details. 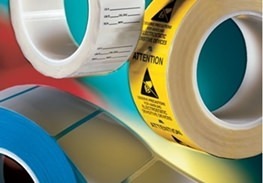 Please contact your Texwipe Regional Sales Manager or Texwipe Customer Service to help you with your label questions.